This article was originally published by the Polish Institute of International Affairs (PISM) on 21 October 2016. The offensive by Bashar al-Assad’s military, supported by Russian troops, on Aleppo—Syria’s largest city—might be successful. This large-scale operation was facilitated by the improved relations between Russia and Turkey and because the United States has only limited military options at its disposal. If Aleppo falls, Assad will have control over territory inhabited by more than 60% of Syrians. The brutality of the Russian attacks in Aleppo may, however, carry a political price in the form of new EU sanctions. The clearly harsher rhetoric of Germany, France and the U.S. toward Russia also shows that these countries will not compromise on Ukraine in return for Russian concessions in Syria. Syrian President Bashar al-Assad has retaken significant territory from the Syrian opposition and the Islamic State (IS/ISIL/ISIS) since October 2015, mainly because of Russian military involvement. His forces have taken the city of Tadmur (Palmyra), Latakia province and parts of Syria’s largest city, Aleppo (which had 2 million inhabitants), along with its outskirts. Now, Assad’s army is besieging the eastern part of Aleppo under rebel control. The rebels number 8,000 strong and are composed of a dozen, mainly Islamist, groups. On 22 September, the Syrian army launched an offensive to retake the whole of Aleppo. The Russian and Syrian bombardment has caused a severe humanitarian crisis: 275,000 civilians, including 100,000 children, have been deprived of nearly all essential needs. The UN estimates that if the indiscriminate bombardment of hospitals, schools and residential blocks continues, in two months’ time eastern Aleppo, including the ancient old city—a UNESCO World Heritage site—will be levelled. Staffan de Mistura, the UN special envoy for Syria, has warned of genocide in Aleppo, comparing the unfolding events in the city today to past events in Srebrenica (Bosnia and Herzegovina) and Rwanda. Aleppo is the last great urban area in Syria for the regime to win and if Damascus is successful it would gain control over the country’s western urbanised belt and 60% of the country’s population. It would allow Assad and his allies to consolidate power over the area under their control (still, merely a quarter of all Syrian territory) before attempting to retake other parts of the country. The importance of Aleppo is not only limited to its size; the takeover of the city would also weaken the opposition significantly and give Assad a stronger negotiating position in future talks on Syria. In the autumn of 2015, more than 20 states and international organisations created the International Syria Support Group (ISSG), with the U.S. and Russia as co-chairs, along with an office run by the UN and envoy de Mistura. The establishment of the ISSG and the envoy was meant to lead to “intra-Syrian proximity talks” and eventually to the cessation of hostilities. Two jihadist terrorist organisations, IS and Jabhat an-Nusra (today Jabhat Fath ash-Sham) were excluded from the process. While diplomatic efforts were underway, Assad, with the help of Russia, was retaking Syrian territory from non-jihadist opposition groups under the pretext of fighting terrorists. More than 3,000 civilians have died in Russian airstrikes and the total number of besieged people has doubled to 860,000 since February 2016. Out of 18 besieged areas, 15 are cut off by the Syrian army aided by Russia, Iran and Hezbollah fighters. Both Russia and Assad claim the siege and offensive against eastern Aleppo should continue because of the presence in the city of “terrorists”, referring to Jabhat Fath ash-Sham. According to the UN, however, the group numbers no more than 900. On 9 September, and in light of the dire humanitarian crisis, the U.S. and Russia signed an agreement allowing humanitarian aid to reach the besieged civilians of Aleppo, marking unprecedented military cooperation between the two powers in fighting the jihadists and imposing a ceasefire on the warring factions. However, after American forces mistakenly attacked Syrian soldiers and, separately, a humanitarian convoy on its way to Aleppo was targeted deliberately (the U.S. and others have blamed Russia), both countries suspended military contact. Russia also put on hold an agreement to reduce surplus weapons-grade plutonium under its control (outside Syria) and demanded the removal of sanctions currently imposed on it, compensation for them, and the withdrawal of U.S. troops from Central Europe in return for reactivating the deal. Russia has marginalised the current worsening of relations with the United States because it is counting on evading any negative consequences of its actions in Syria at least until the next American administration takes shape. Unlike Russia, which the government in Damascus asked for assistance in the war, the United States does not have the same legal basis to intervene. On top of that, for the US, another protracted war in the Middle East without an exit strategy is not in its interests and would reignite anti-American sentiment and ideologically strengthen the jihadists. Instead, the EU Member States are trying to pressure Russia. France and Germany have called Russia’s military actions “war crimes” and are threatening not only to uphold the current sanctions, sparked by its aggression in Ukraine, but also to impose new ones if Russia does not stop targeting civilian infrastructure in Syria. This pressure could be sufficient to achieve the temporary cessation of airstrikes on Aleppo but may not be enough to prevent the fall of Aleppo to Assad’s troops. The Russian-Syrian offensive against eastern Aleppo would be more difficult and politically risky if Turkey were to help the rebel fighters actively. Ankara has supported the Islamist Ahrar ash-Sham, which fought Assad, the Kurds and IS. However, for Turkey, the most important aspect of the Syrian war is its impact on the military and political strength of the Kurds. In order to prevent the consolidation of Syrian Kurds, Turkey in August launched an operation called Euphrates Shield. According to one analysis of Russian and Turkish policies in Syria in recent months, it is possible that they have agreed to demarcate their “spheres of influence” in northern Syria (delineated around the city al-Bab). The assumption is Turkey will not oppose the fall of Aleppo while Russia would allow Turkey to push the Kurds east of the Euphrates. The involvement of Shia fighters from Iran adds to the complexity of the fight for Aleppo. Iran is not only executing its plan to retain long-term influence on the government in Damascus but also is attempting to create a strategic land corridor from Iran to the Mediterranean. The corridor requires an agreement between Iran and the Kurds, which would alarm Turkey. In the fight for Aleppo, the vital interests of regional and global powers have become visible. They will ultimately decide the fate of the war in Syria, since no single fighting faction can sustain their current position without the help of third parties. The weak Syrian army, lacking a regular military structure and consisting of militias, depends on Russian, Iranian and Lebanese support while the non-jihadist opposition is dependent on American, European, Arab and Turkish aid. The fight for Aleppo has also exposed particular dilemmas faced by leaders of democratic countries against the backdrop of primitive, although often effective policies of expanding spheres of influence conducted by Russia and, more and more often, by Turkey, Iran and Saudi Arabia. Encouraged by better relations with Turkey and the delicate period for the U.S. administration ahead of the presidential election, Russia has counted on Aleppo falling quickly. If so, it calculates that it would strengthen Russia’s position enough to make the EU Member States remove the Ukraine-based sanctions in return for Russian cooperation in Syria. Its brutal policies have, however, proved counterproductive. Not only will those sanctions remain in place but they may be expanded if the indiscriminate bombardment of Aleppo continues. The clearly harsher rhetoric of Germany, France and the U.S. toward Russia also shows that these countries will not compromise on Ukraine in return for Russian concessions in Syria. The fall of Aleppo would lead to the greater proliferation of heavy weaponry in Syria. It would mean that Assad’s allies, including Russia, could ease back on their military operations, but Saudi Arabia and Qatar would intensify their arming of the non-jihadist Syrian opposition to prevent it from marginalisation. Portable anti-aircraft missiles have recently been delivered to the opposition and for the first time since the beginning of the war, while Russia has armed its naval base in Tartus with the advanced S-300 anti-aircraft system. Tactical alliances between parts of the weakened moderate opposition and the jihadists cannot be excluded. If Assad regains control over most of the Syrian population, the opposition may resort more often to terrorist tactics. In the short term, the fall of Aleppo could entail an increase in the number of refugees. People will be forced to leave not only by the fighting (which has already lasted for months) but also by sectarian or ethnic conflict if this traditionally Sunni city is taken over by Shia militias. Life in eastern Aleppo may also prove unbearable because of the scale of damage from Russian-Syrian airstrikes should they continue. If Aleppo falls, the UN and its special envoy for Syria will face additional challenges in conducting the intra-Syrian talks. Until recently, the US-Russia talks within the framework of the ISSG have been used by Russia to stall matters. It negotiated and agreed to ceasefires under conditions that often were more favourable for the government in Damascus, only for Assad to break the agreements or accuse another group of doing so, beginning the whole process anew. 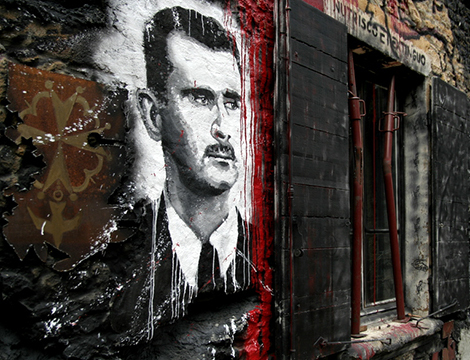 If Assad can strengthen his negotiating position, the Russians will want the talks to succeed. In such an event, only the U.S. and the EU will be able to impose more fair conditions on an agreement. Even though the talks under UN auspices are being used by all parties for their own interests, only they can—while they remain—impose limits helpful to civilians on the participants in the conflict. In the history of the Syrian war, only UN-mediated negotiations have resulted in weeks-long cessations of hostilities and stemmed the loss of life. Patrycja Sasnal is the Head of the Middle East and North Africa Project at PISM. She has also been an associate at the American University in Beirut and a lecturer at Jagiellonian University in Krakow.